Freedom Reins uses horses to learn coping skills and life skills and help people with depression, anxiety, and PTSD. 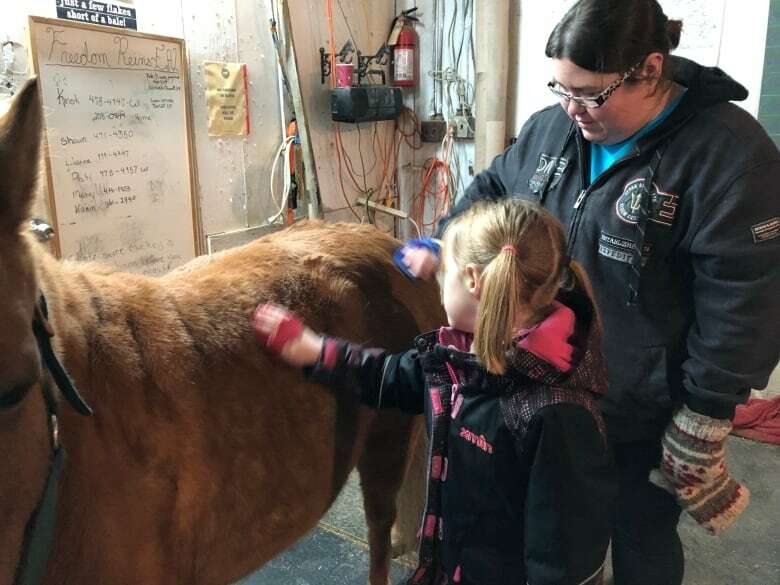 When Kristi St-Hilaire feels anxious she pays a visit to her horses — and that sparked an idea. "The horses are really therapeutic," she said. "The program can be catered to anything and it's all done with horses." It's something she knows first-hand. St-Hilaire is a military wife and educational assistant in schools and has anxiety herself. 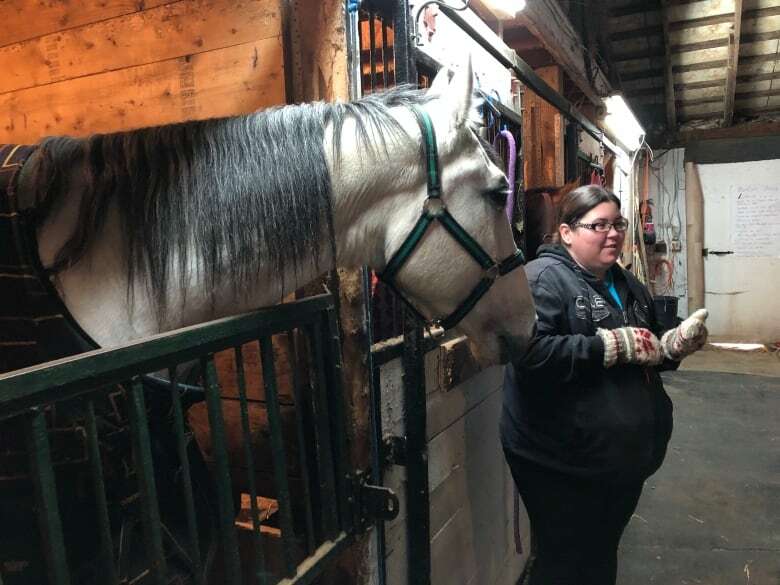 She said interacting, brushing and being around her horses can take a lot of the anxiety away and she knew could help other people, especially soldiers with PTSD. "The stress just melts away." 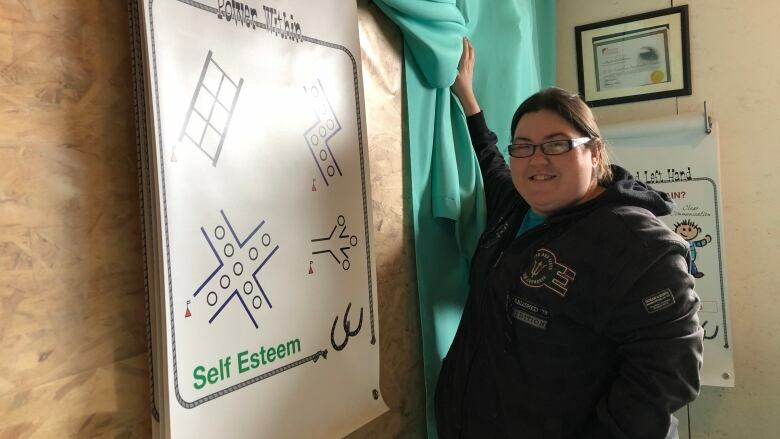 St-Hilaire owns Freedom Reins and facilitates programs for soldiers, women, and youth through obstacle courses that help with self-esteem, body language, problem solving, and developing relationships. All together, St-Hilaire has five horses, Sadie River, Autumn, Pylater, Goldie and Butterscotch and three others who share the facility. She said each horse has its own personality. For instance, Pylater, whom she calls a "goof," or Butterscotch, who is known to take charge of horses twice her size. "They're all my favourite for different reasons," she said. St-Hilaire said horses are able to hear heartbeats and can almost mimic feelings, which she highlights as a key to the treatment. "The horses are the teachers," she said. St-Hilaire's daughter, Lilianne, also helps around the barn. 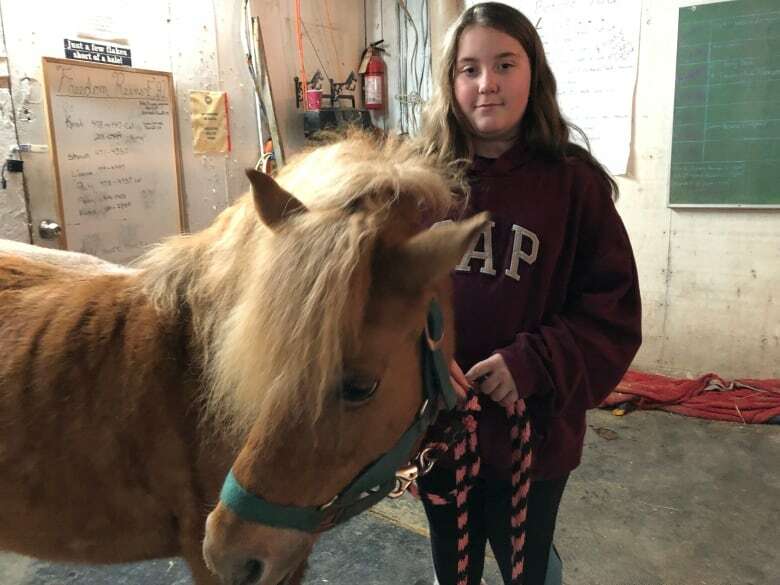 Lilianne St-Hilaire's favourite pony is Goldie, a gift from her grandfather. Goldie also gave birth to Butterscotch, a complete surprise to Lilianne. "Goldie means a lot to me," she said. "Her and Butterscotch both. When you're in the stall it's like your quiet space. You just sit there and they kind of like talk to you in a way." Lilianne said she wants to follow her mother and help others through her love of horses. St-Hilaire is certified through the Equine Connection- Academy of Equine Assisted Learning and the group is located on the Exhibition Grounds. St-Hilaire said there are costs associated with the program but she wouldn't turn anyone away who is in need. "I will work with anyone's budget."